325-bed jail next to the sheriff’s office on Government Way. • Voters in Kootenai County have rejected three bond measures to build a new jail, most recently in 2009. A Ketchum, Idaho, company wants to build a 621-bed jail in Kootenai County in the next two years and lease it to the county to give the sheriff’s office the relief it long has sought from jail crowding and the cost of housing inmates in neighboring counties. The county likely would spend less on jail operations than it does now with a more efficient building and extra cells to rent to other jurisdictions, according to a pitch Facilities Management LLC/Rocky Mountain Corrections made Wednesday to county commissioners. The county will spend around $900,000 this year alone to keep about 65 inmates in jails elsewhere – an expense that will vanish, said J. Walt Femling, company president and the former sheriff of Blaine County in the Sun Valley area. The design also would enable the county to run the new jail with fewer employees and overtime costs, Femling said. “We’re saving the county money from its current budget,” he said after the meeting. Sheriff Ben Wolfinger supports the idea, saying the new jail would be large enough to house all of the county’s prisoners plus a couple of hundred inmates from other entities. Those could include Spokane, other counties in North Idaho and Eastern Washington, tribal governments, the Idaho Department of Corrections and federal agencies such as the U.S. Marshals Service. The 120,000-square-foot jail would replace the county’s 325-bed jail that was built 26 years ago next to the sheriff’s office on Government Way. That facility often is over-capacity, with the daily population fluctuating between 344 and 364 inmates. Femling said the company could begin construction next spring and turn the jail over to the sheriff’s office by July 2015. Financing for the project has been arranged with Municipal Capital Markets Group Inc., of Greenwood Village, Colo. Commissioners raised questions about the potential savings, staffing costs and lease terms, as well as the likelihood other jurisdictions would rent beds in the new jail, but they did not indicate Wednesday if they want to move ahead with the partnership. Wolfinger said he has spoken with several agencies that expressed interest in the project but have held off on signing letters of intent to rent space in the new jail. The lease would cost the county an estimated $5.4 million a year, according to a preliminary budget proposal the company reviewed with commissioners Wednesday. Facilities Management said it won’t raise the rent for at least 20 years. 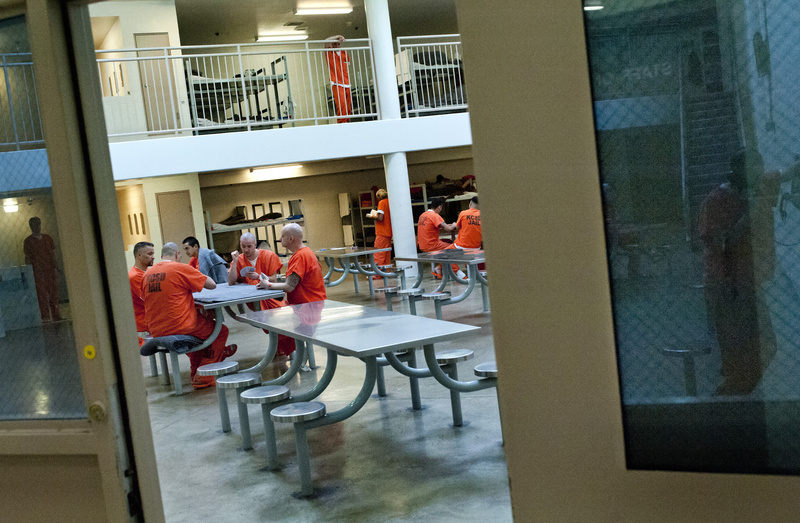 Voters have rejected three bond measures to build a new jail, most recently in 2009. The public-private partnership would give the county access to a spacious, modern jail without asking voters to raise taxes or saddling the county with construction debt. Also, the proposed jail could be expanded without the county incurring debt, according to the proposal. County commissioners would need to decide what to do with the old jail. That could include selling it or leasing it to someone else. Femling said the company has found two possible sites for the new jail, each between 10 and 20 acres, but is not revealing the locations because it has not yet approached owners with offers. The property would need to go through a zoning change and may need a special-use permit, so the public would have ample opportunity to weigh in on where the jail would be, he said. Femling said he feels optimistic about the potential partnership with Kootenai County and looks forward to hearing back from the commissioners this summer. “We need to give them a little time to absorb what we’ve given them,” he said. Facilities Management built a police station in Mountain Home, Idaho, and a jail and sheriff’s office in Caribou County – both lease-to-purchase projects. Gooding County southeast of Boise also is considering a jail project with the company.